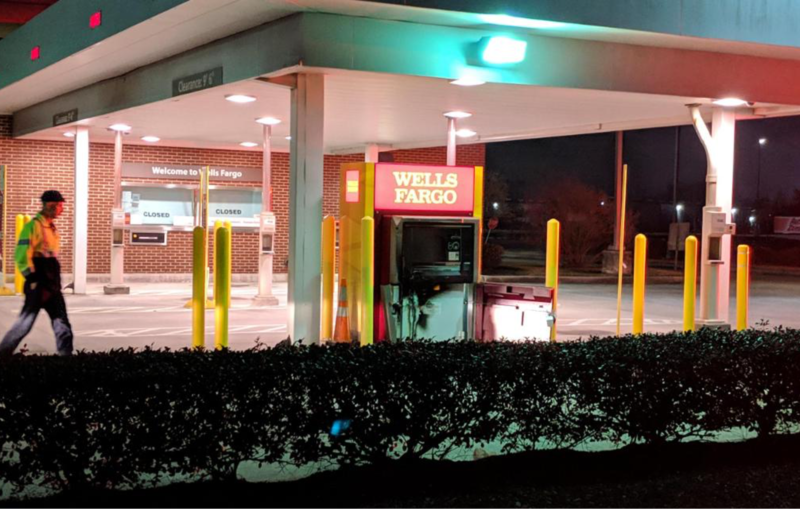 Spring, Texas – January 16, 2019: A Spring-area ATM went up in flames early Wednesday morning after thieves attempted to use a blow torch to break into the machine. This happened at the Wells Fargo Bank near the intersection of FM 2920 and Holzwarth around 3:00 AM. Harris County Precinct 4 Deputies responded to a call of a robbery in progress at the bank, however, when they arrived the ATM was on fire and the thieves were gone. Sources tell us that the thieves fled the scene empty handed. No suspect descriptions were readily available. The incident remains under investigation.